Love this family! 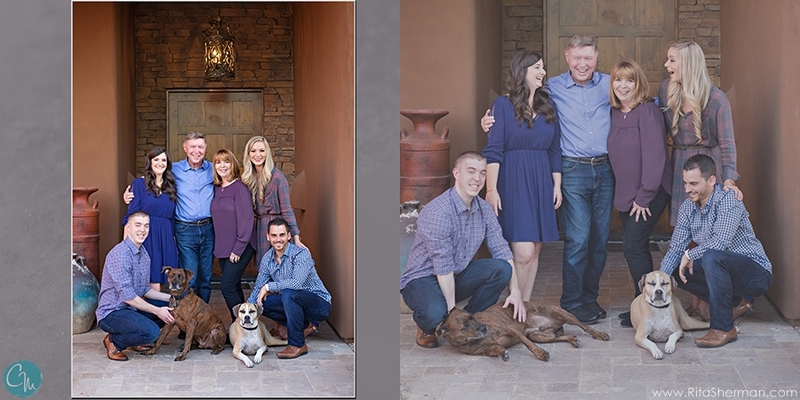 When Norm called us for a gift certificate to surprise Teri for a gift, we knew we were going to have another great session with this special family! Talk about a warm, fun-loving family with a great sense of humor... We've always had a blast with this bunch. It was time for some updated pictures and we are flattered they counted on us again to make it happen! Below is a sampling of some of their album that we created for them. Scroll down to see some of the final images from our shoot!